It “snowed” here in DC on Tuesday, and we got the day off for what amounted to a little more than a dusting that rapidly turned into slush and never really interfered with traffic or public transportation or anything. But, since I had the day off, I took a walkabout in my neighborhood to burn some film. I’m always looking for images of things to add to my “Portraits of Everyday Objects” series. 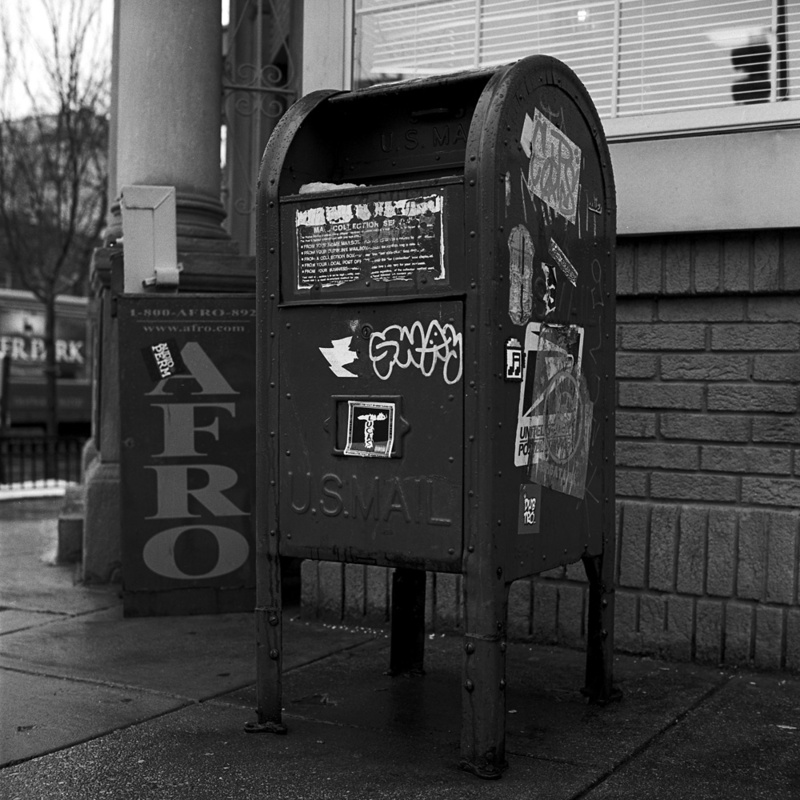 This mailbox, outside the Industrial Bank building on U Street fits the bill, looking somewhat forlorn with all its graffiti. Industrial Bank was started at the beginning of the 20th century by African-Americans to cater to the African-American community. 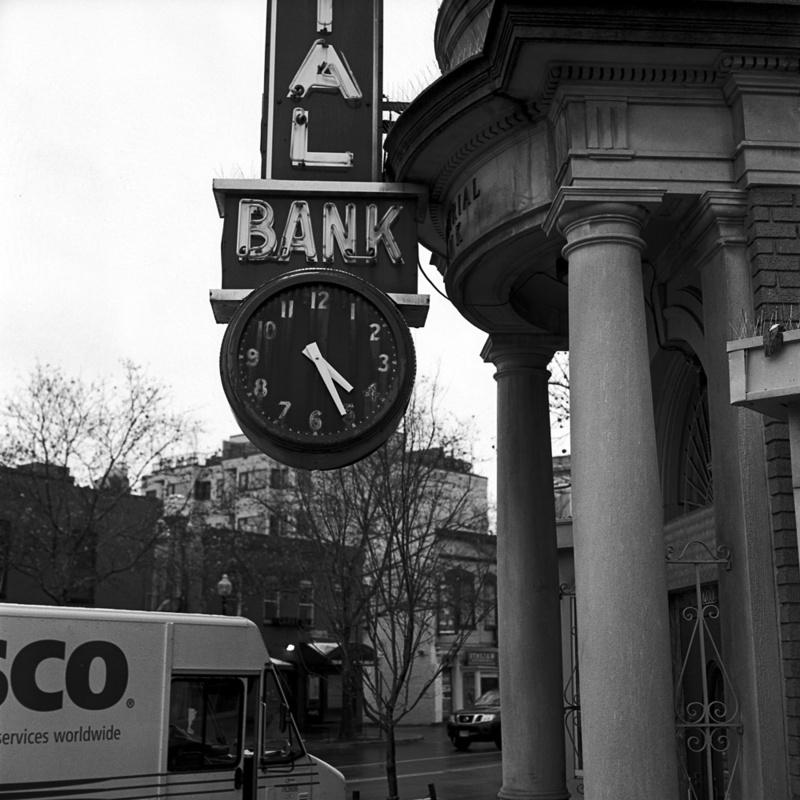 Their main branch is at the corner of 11th and U Streets, and has this really cool metal and neon clock sign out front. Alas they have allowed the sign to lapse into disrepair – I THINK the clock functions but it is not accurate, and either they just never turn on the neon or it no longer works. I really wish they’d fix it up so it would work, as it would make a very nice neighborhood landmark and a visual counterpoint to the yellow saxophone sign across the street outside the Bohemian Cavern nightclub. 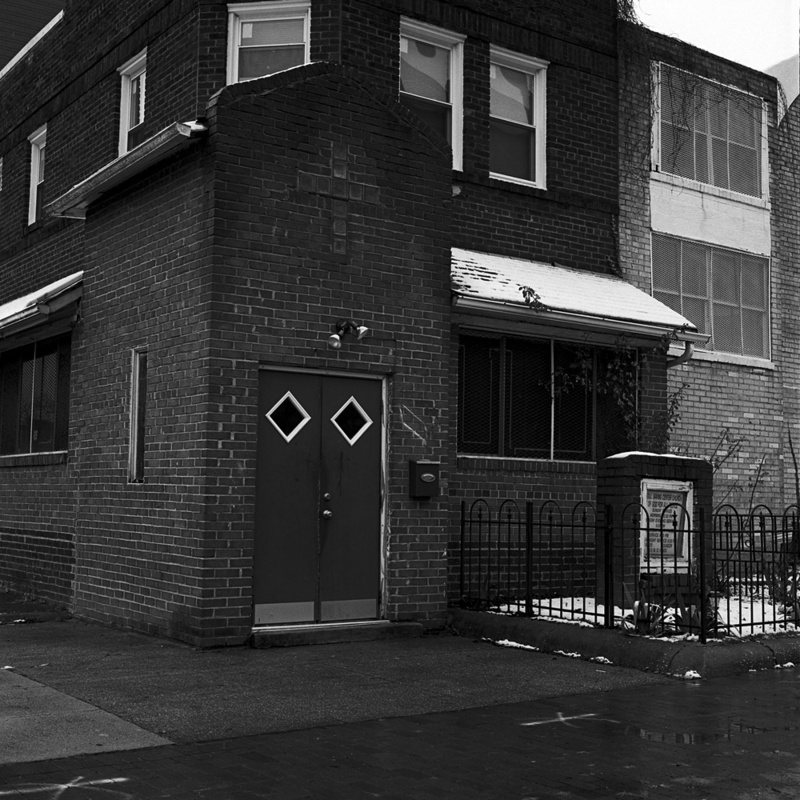 Up the street there is the Soul-Saving Center Church of God – a storefront community church with a primarily if not exclusively African-American congregation. It’s a sign of the gentrification and transformation of the neighborhood – across the street from them is a brand-new condo building with units selling for up to $1.2 Million. You can see the real estate bonanza still happening in the neighborhood – small row houses are being converted and expanded into multi-story multi-unit condominium buildings. 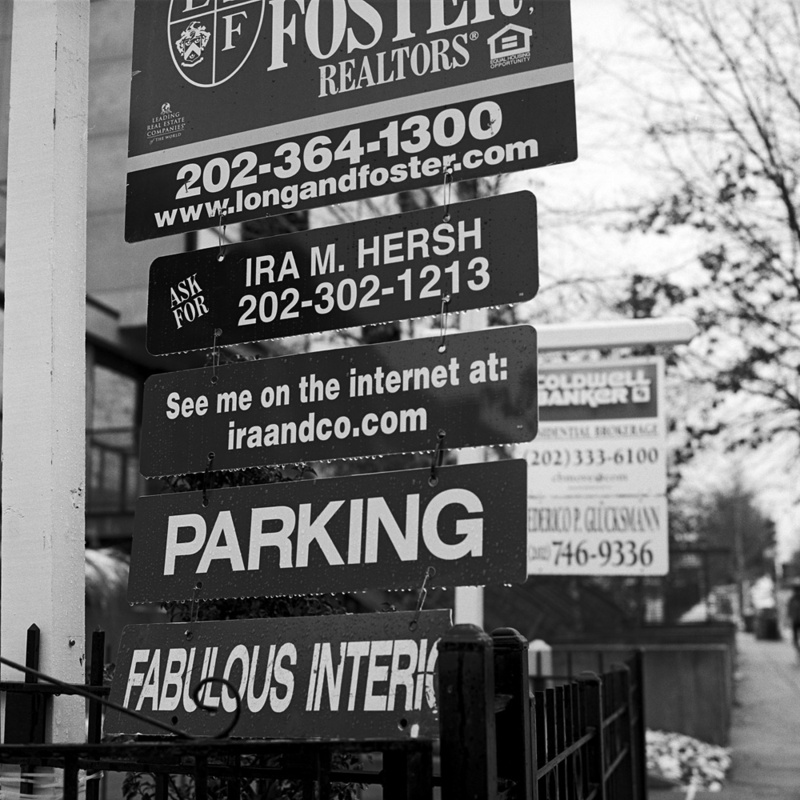 Here is one with a “Fabulous Interio”- the agent broke off the “r” to get the sign to fit inside the fence. I wonder how long it will be before the Soul-Saving Center Church decides to sell their buildings plus the adjacent lot they have – they’ve got perhaps $10 Million in land alone now. 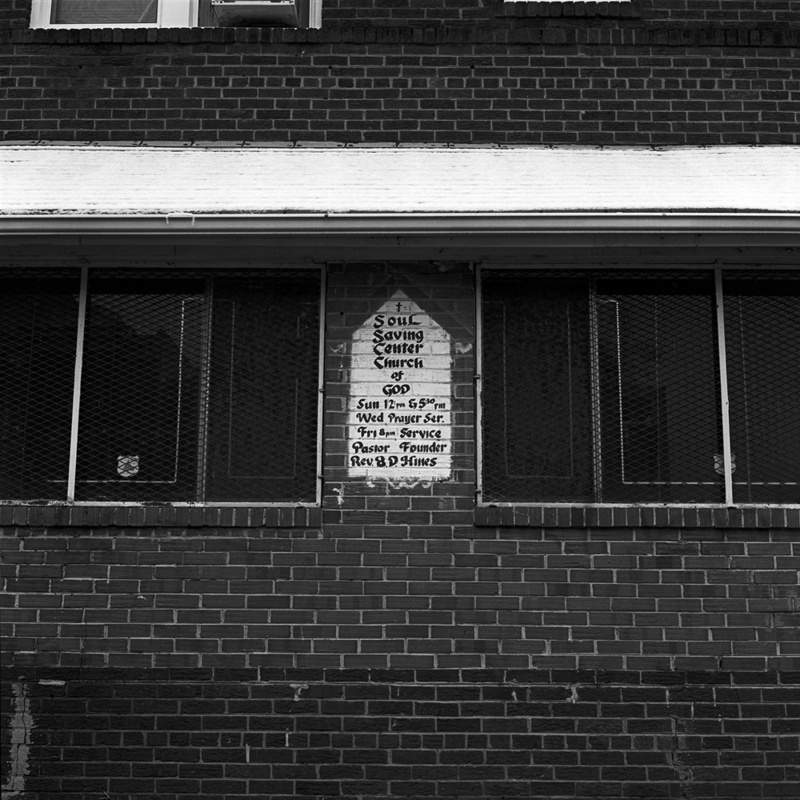 Up the street is another landmark of the neighborhood, almost as famous as Ben’s Chili Bowl. 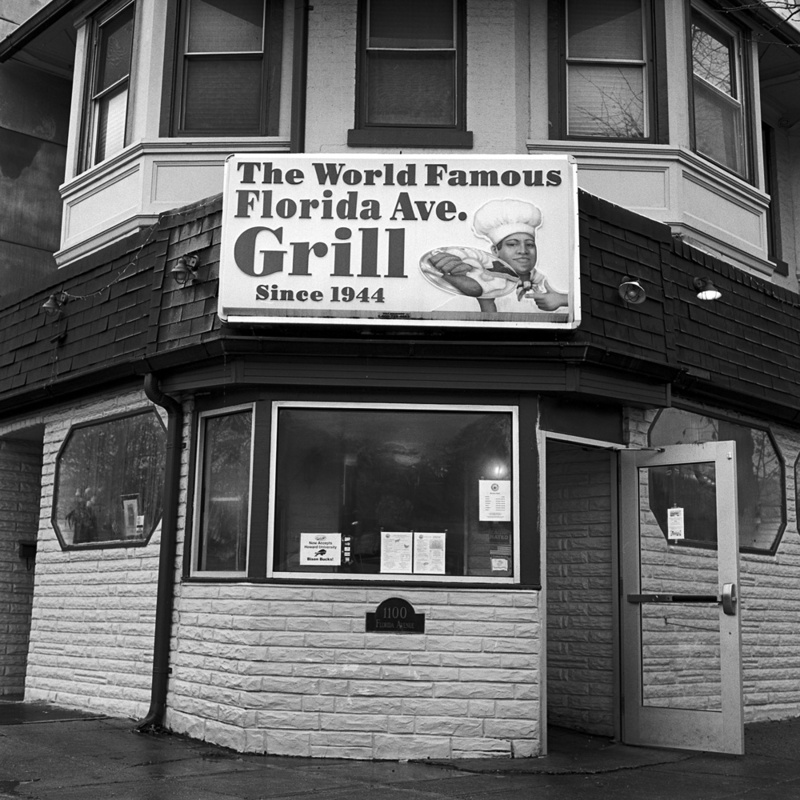 The Florida Avenue Grill has been around since 1944, serving up good old-fashioned soul food to locals and celebrities alike. The Florida Avenue Grill once owned a large empty lot next door, which served as their parking lot. About five years ago the family that owns the grill sold the empty lot and now a five story condo building has filled it. The average unit in that building sold for north of $500,000 each.